Error: Error validating access token: Session has expired on Monday, 01-Apr-19 06:23:33 PDT. The current time is Thursday, 25-Apr-19 23:09:37 PDT. 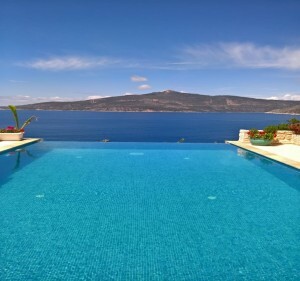 Paul has just returned from a wonderful holiday in Turkey! 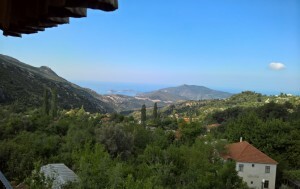 “I recently took the decision to take our holiday in the resort of Kalkan in Turkey. I wanted to see for myself if there are any issues regarding safety and to try to understand why people are not choosing to holiday there. With flights from Leeds it is easy destination to reach and there are some great prices to be had in amazing resorts. 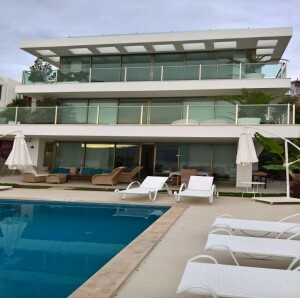 I have put a few of the photos below of my trip and just wanted to say that this is the most wonderful resort – friendly people – fantastic food- amazing scenery and with the added value of still being the Turkish Lira, your pound really does go a long way! There are over 200 hundred restaurants to choose from and we did not encounter one bad meal at any of the ones we ate at. 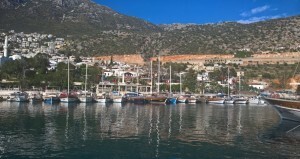 Kalkan harbour is small and quaint. The resort has a small beach but does offer 4 or 5 beach clubs which have free access, you just pay for the use of a sun bed and any food and drink. This gives you access to the sea and the wonderful snorkeling. There are many boats leaving the harbour to different beaches or days out at sea or take the dolmus (local bus) to the 17 mile beach at Patara, for a couple of pound return. There is vast amount of shopping offering great value on leather goods which are extremely good quality – don’t let anyone tell you otherwise! Of course there’s the usual fake goods too but again, are very high quality. 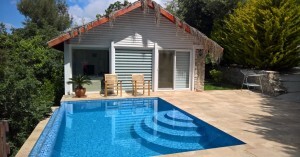 If you fancy a rural retreat the village Islamlar offers villas scattered on the hillside but still within walking distance of the restaurants and supermarkets. These offer peace and serenity on the pine clad hillside. My summary of the Holiday is that Turkey, especially Kalkan felt totally safe. There were no issues at all in the resort and the airport security was the tightest I have ever seen, making the resorts in Turkey feel very safe. I would highly recommend Kalkan. It has something to offer everyone whatever their taste – small hotels – big hotels – villas – apartments.